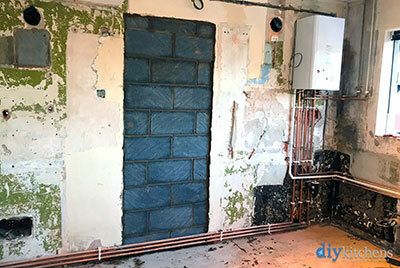 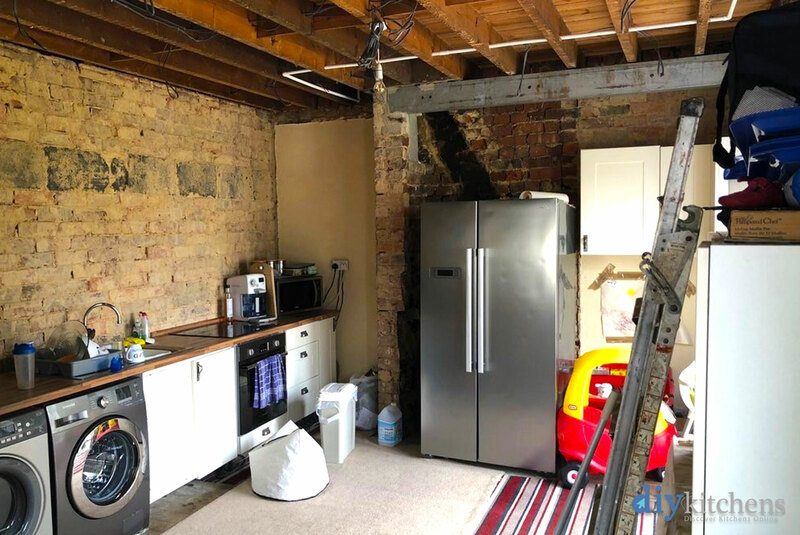 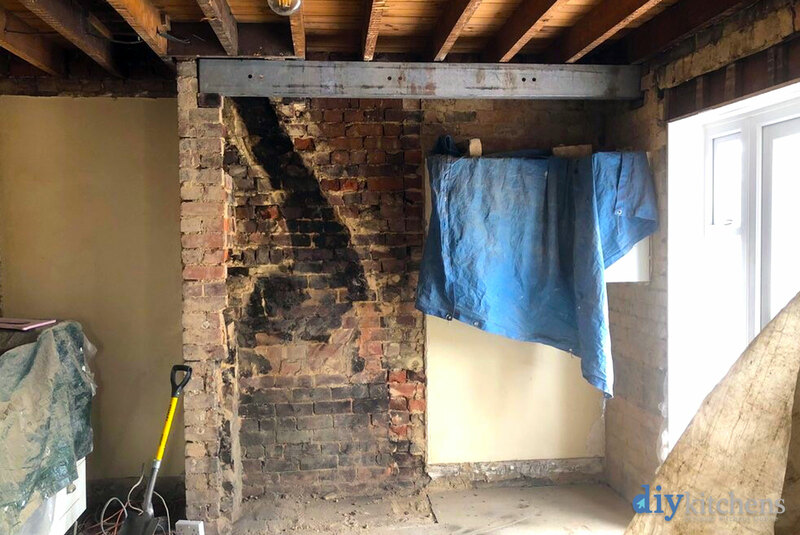 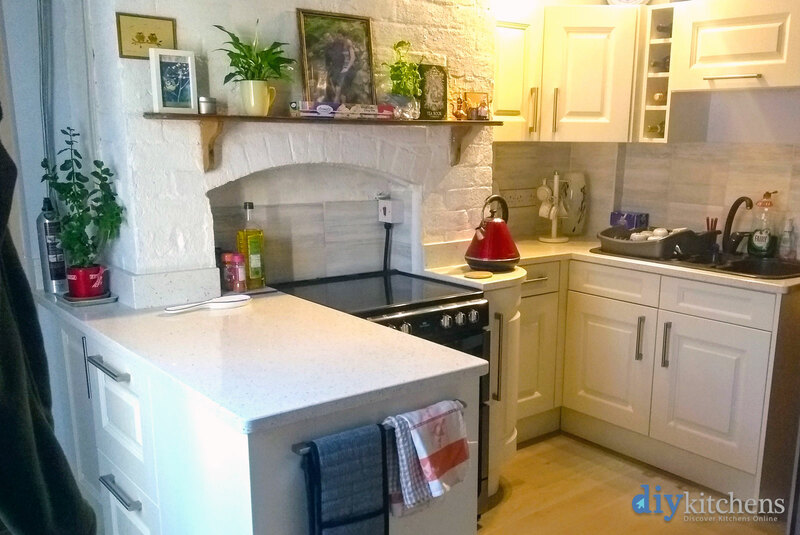 Steve & Anna from Telford "Hi, some pictures of the kitchen we designed and installed ourselves as part of a full refurbishment which included wall insulation, bricking up a window, unblocking a chimney recess and a new floor. 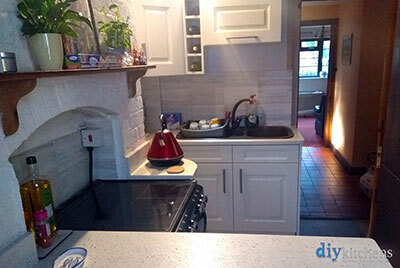 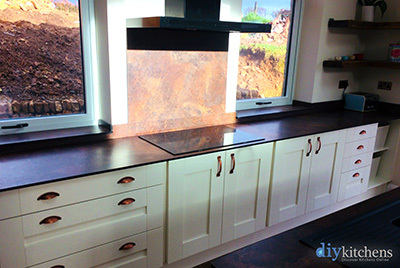 All work was done by myself except the template and supply of the mirror quartz work surfaces. 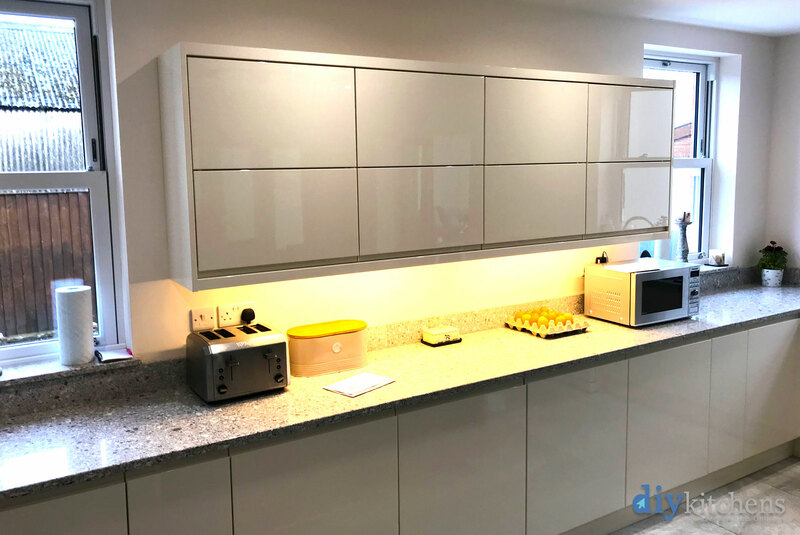 The wide range of quality units available allowed us to plan and install the units with a minimum of cutting allowing us to save money on paying for installation. " 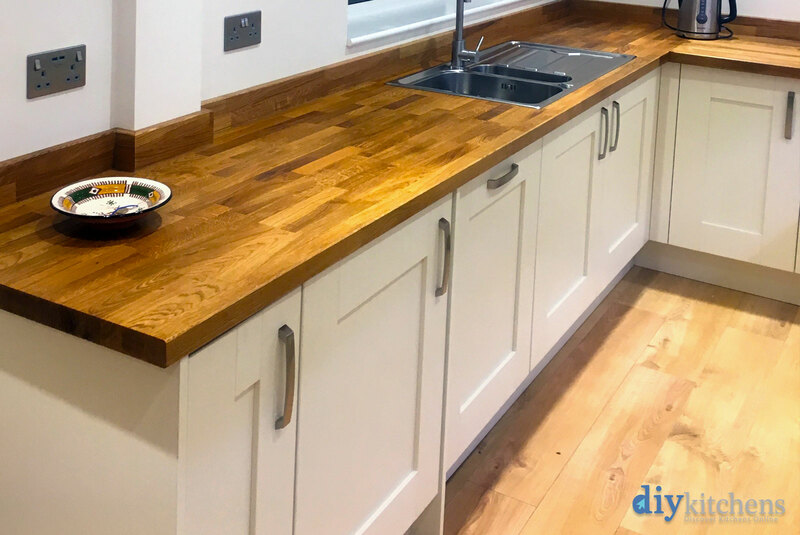 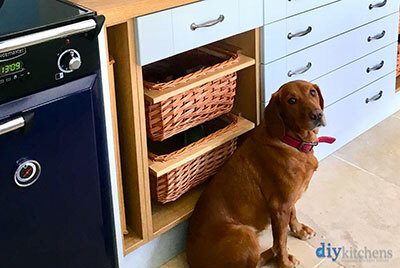 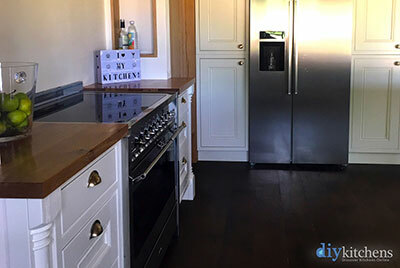 Janet & Kingsley from Yorkshire "I just wanted to say a huge thank you for the excellent service DIY kitchens have given us throughout the whole of our kitchen adventure. 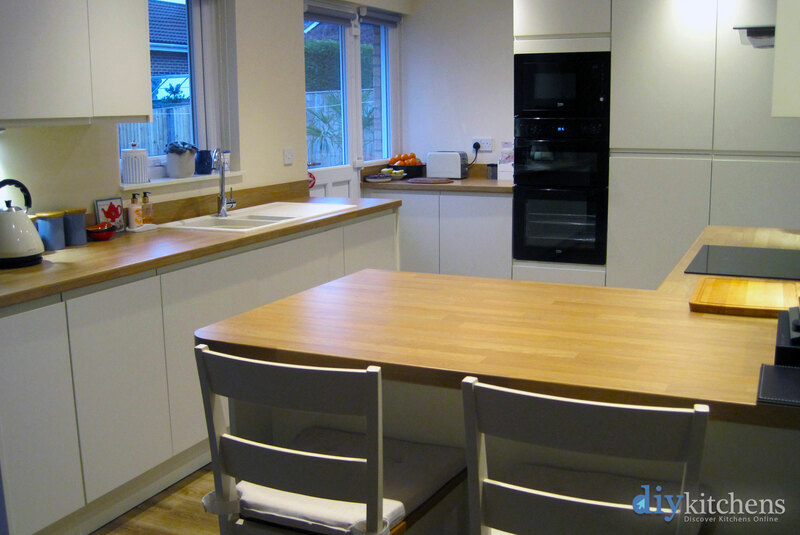 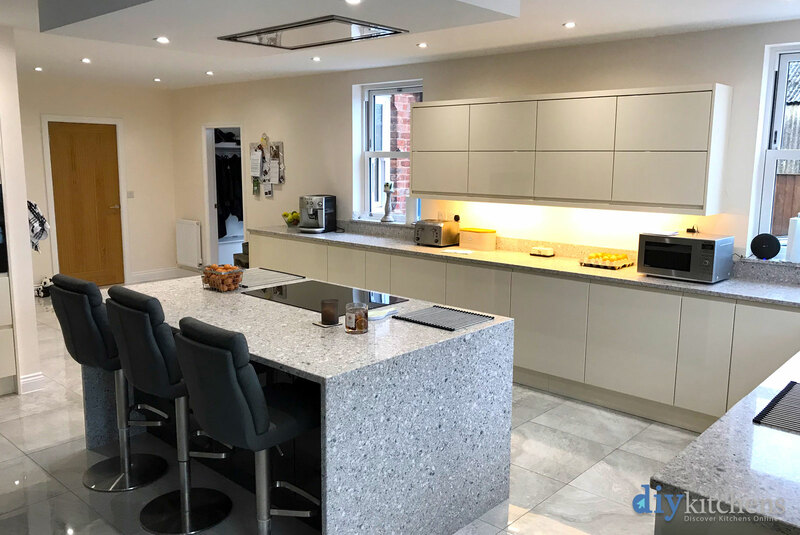 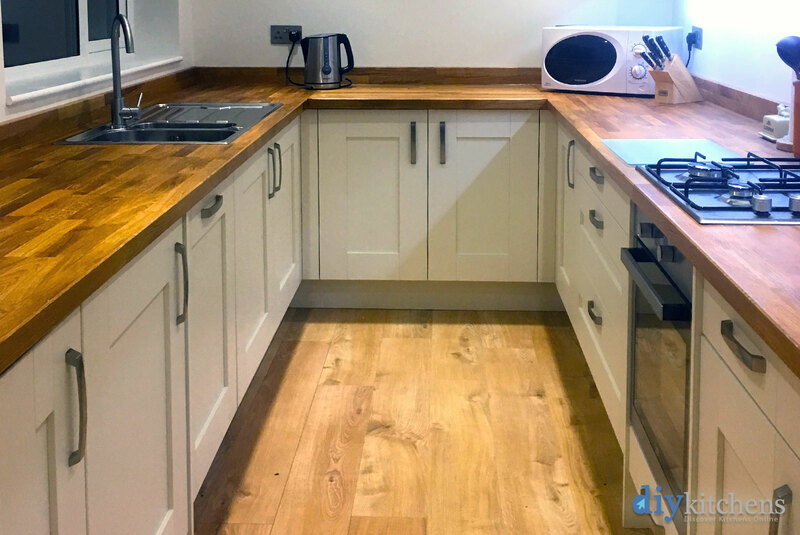 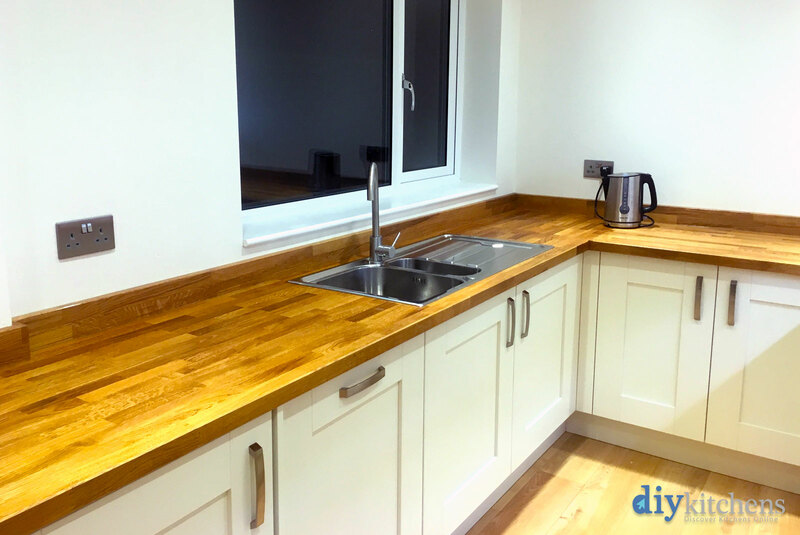 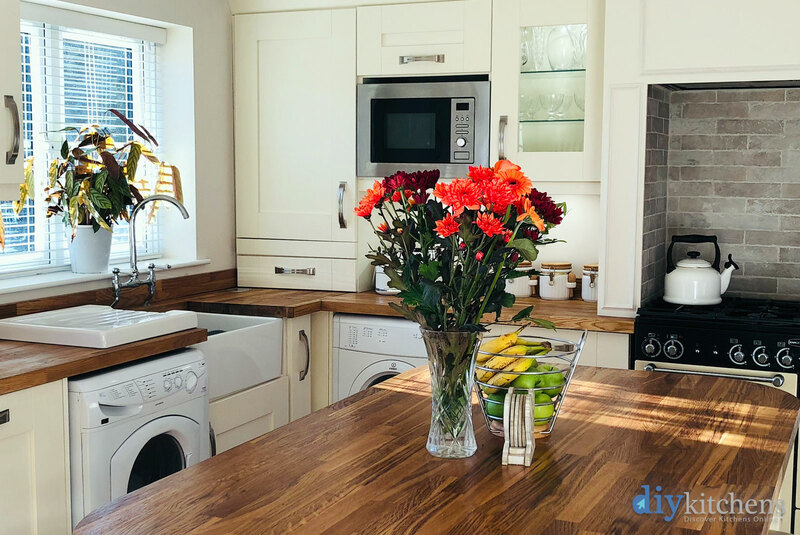 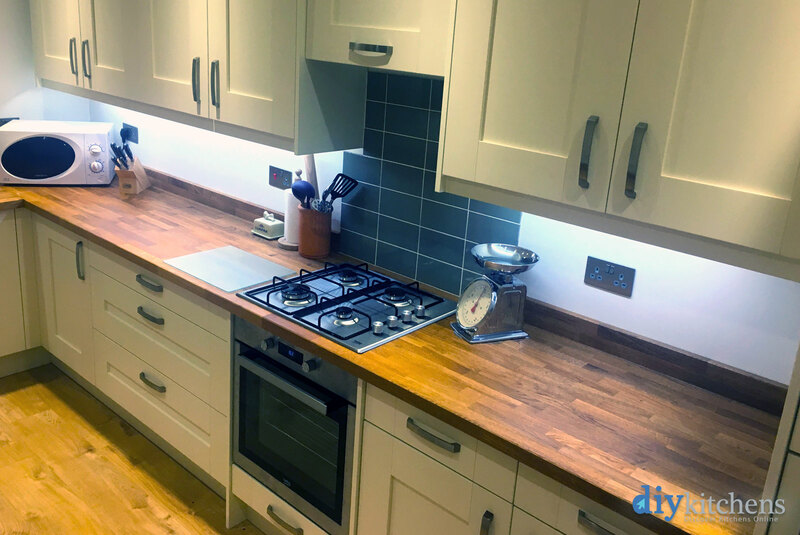 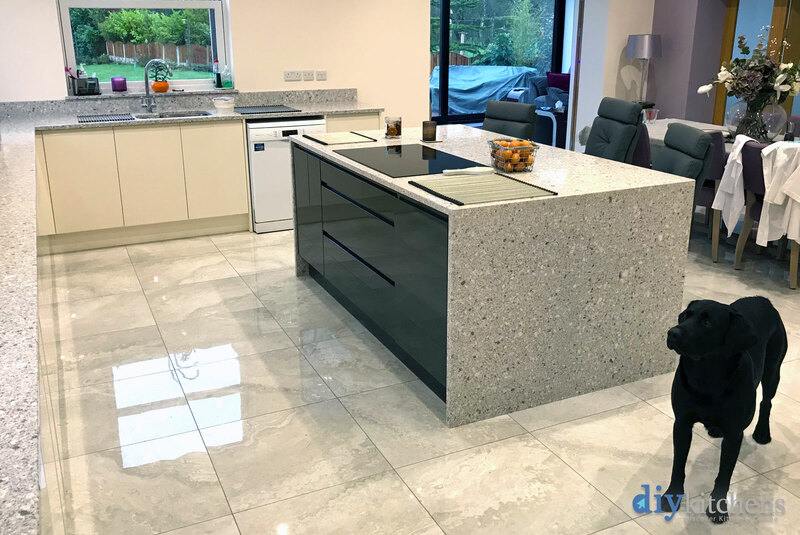 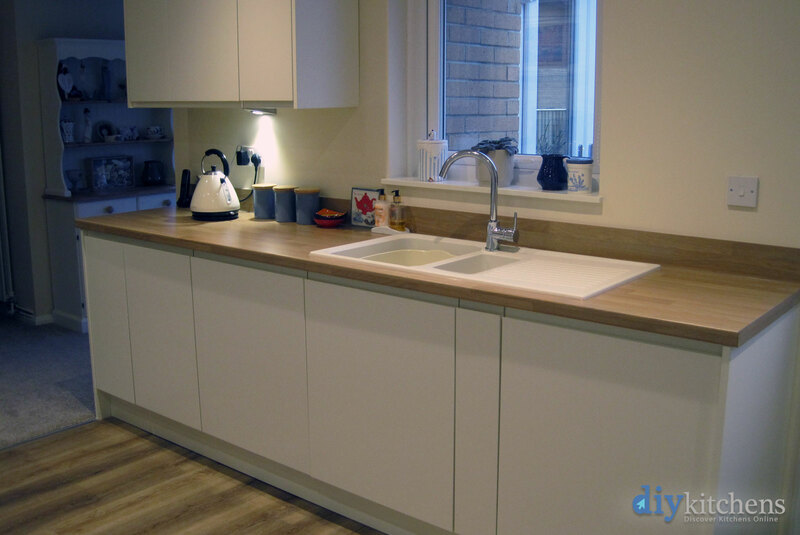 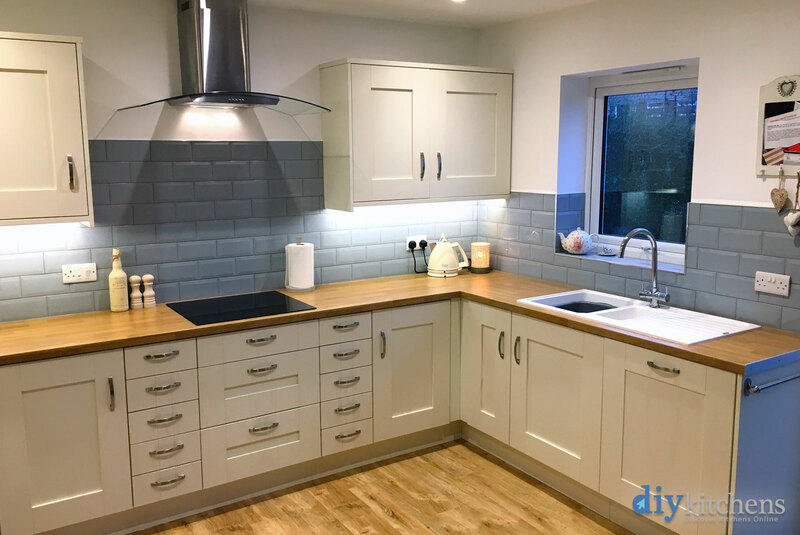 We have at last finished everything & moved into our new place so we thought you might like to see some photos of the beautiful kitchen you have helped us create." 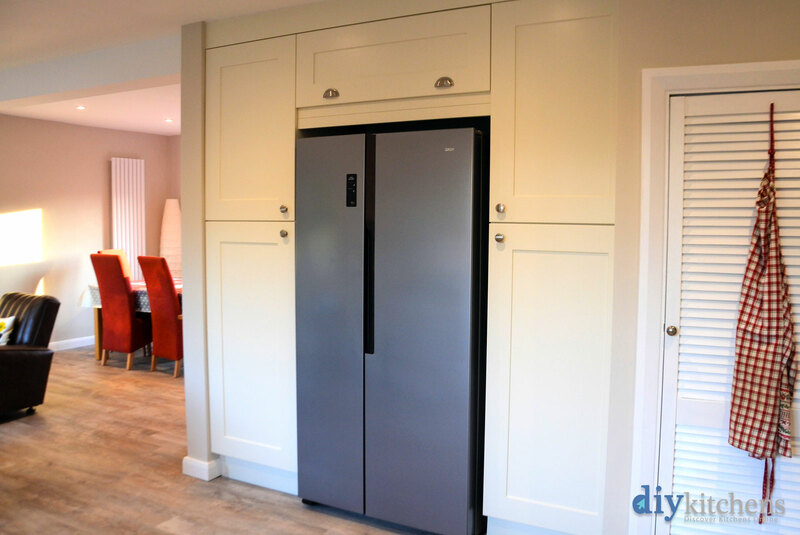 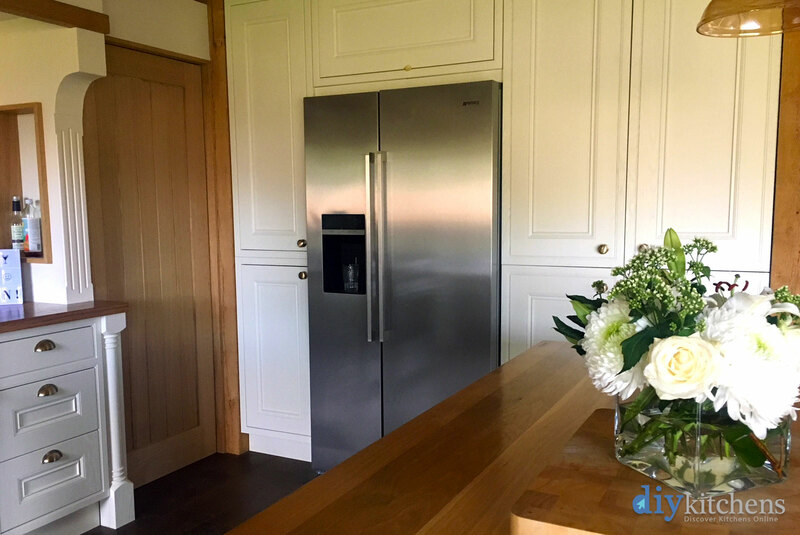 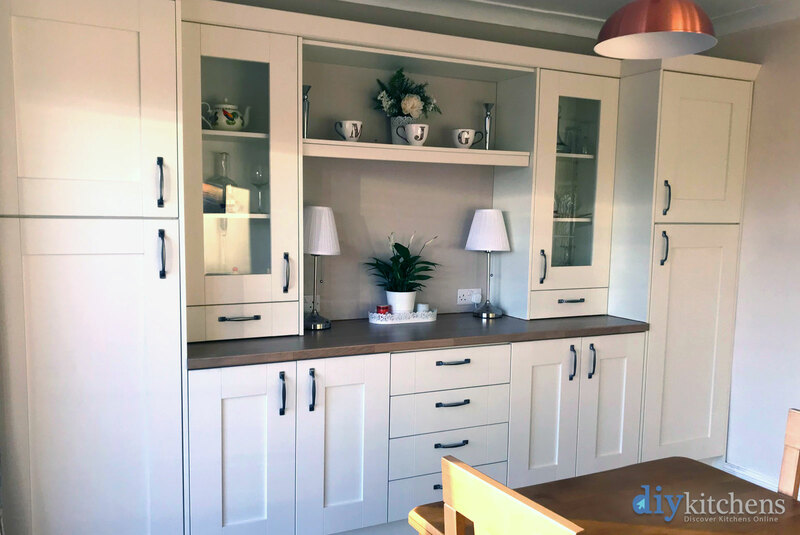 Kim from Horsham "We love our kitchen - using units to make a fitted cupboard around the fridge freezer is our absolute favourite! 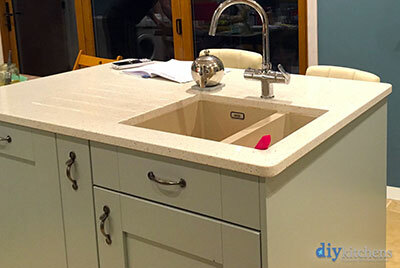 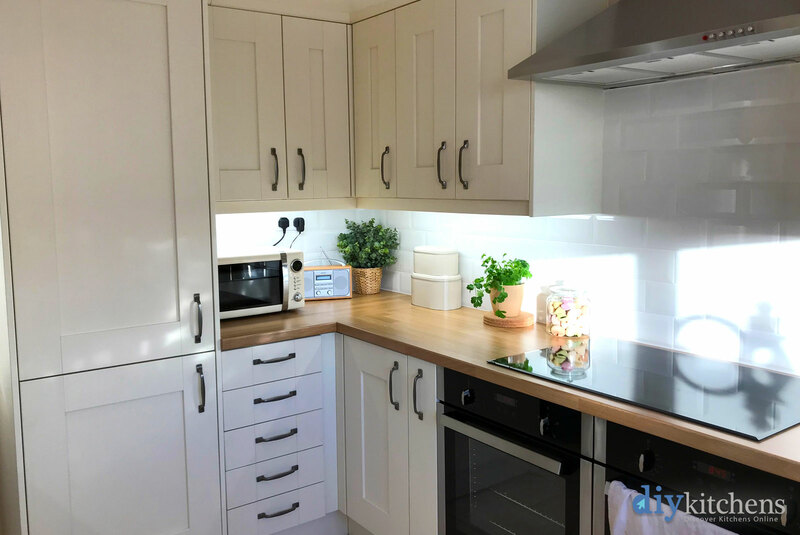 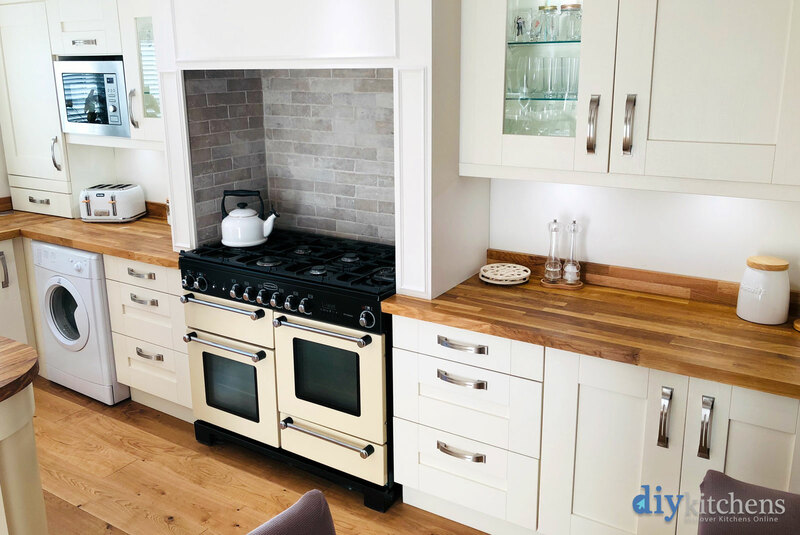 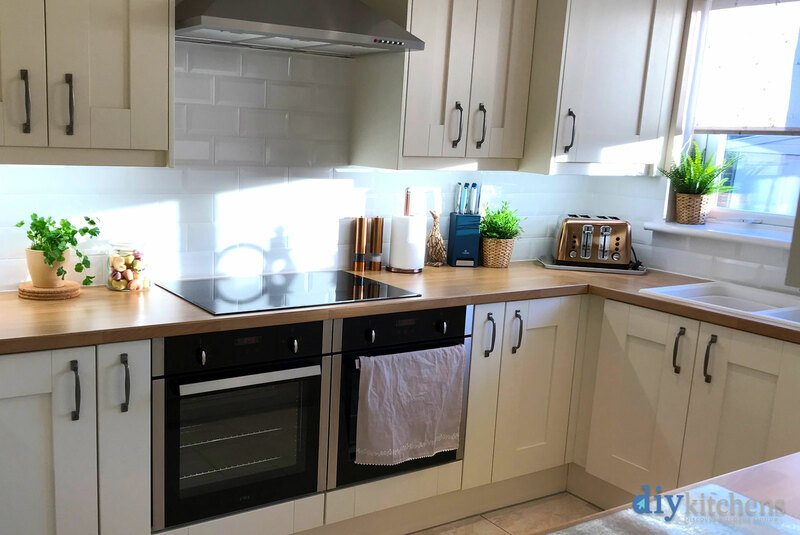 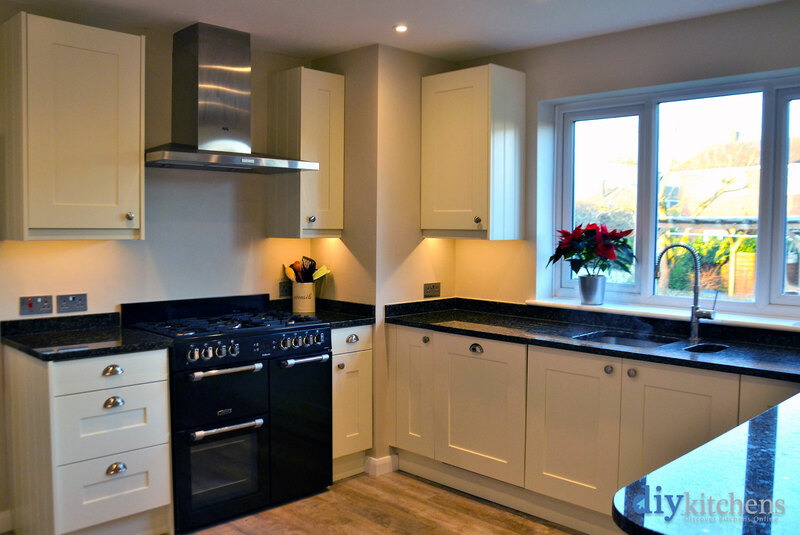 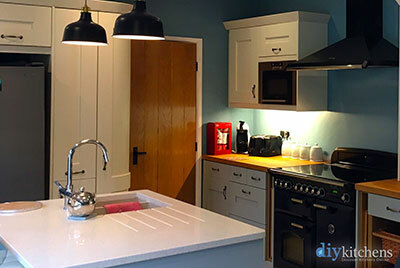 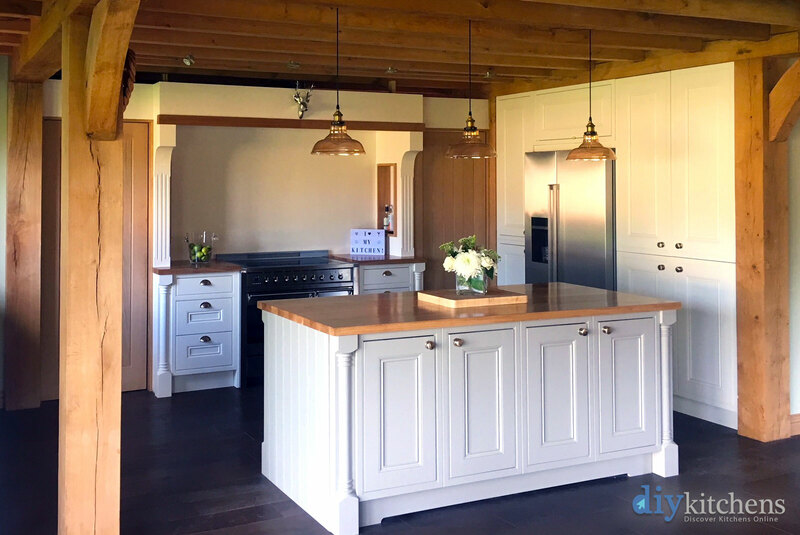 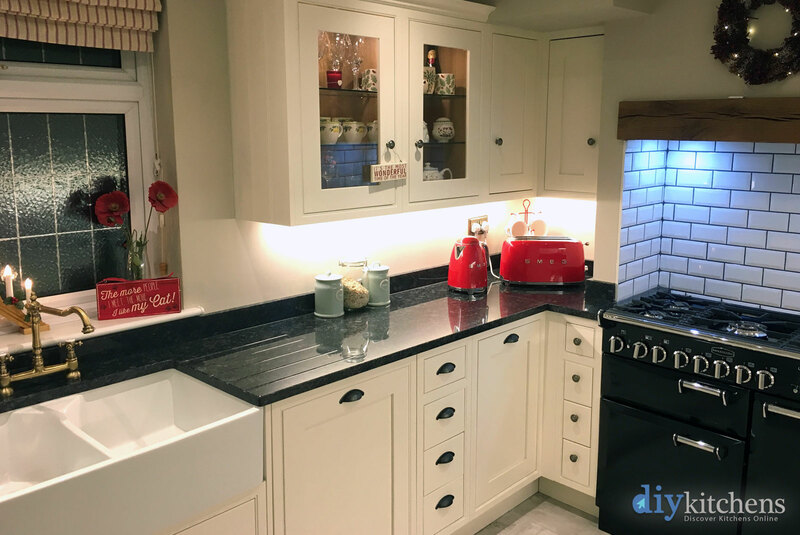 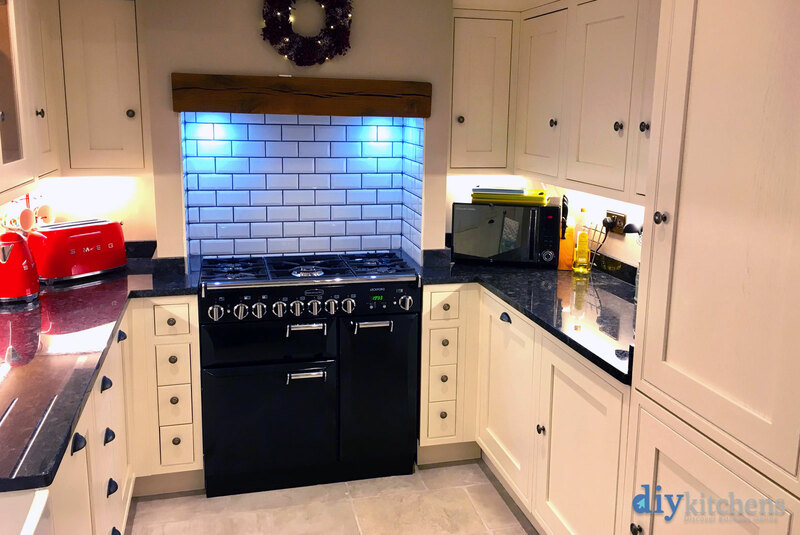 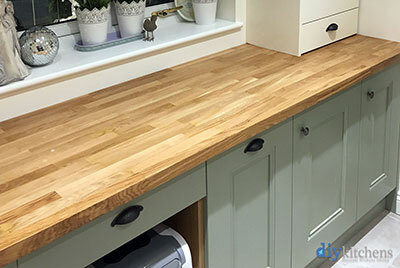 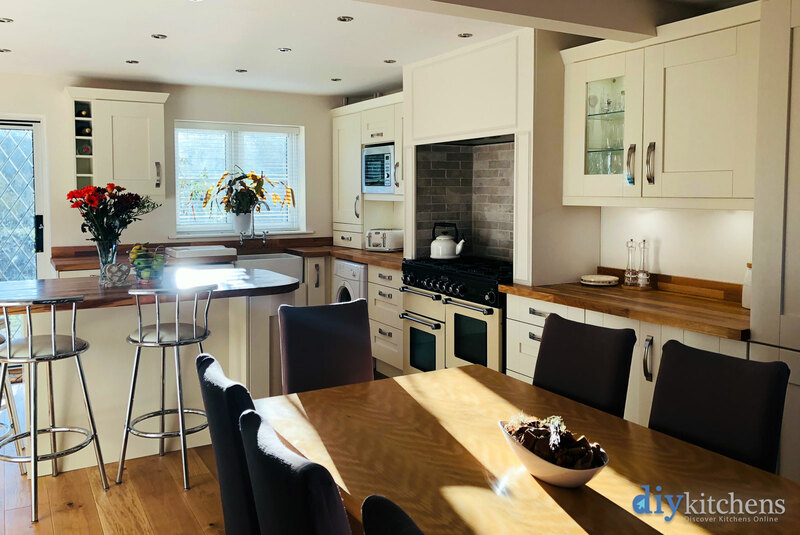 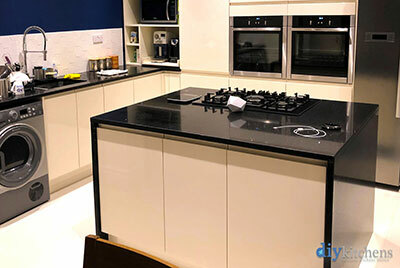 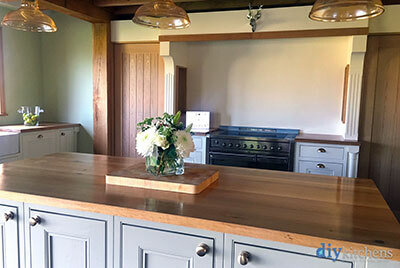 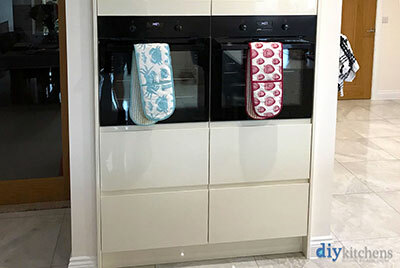 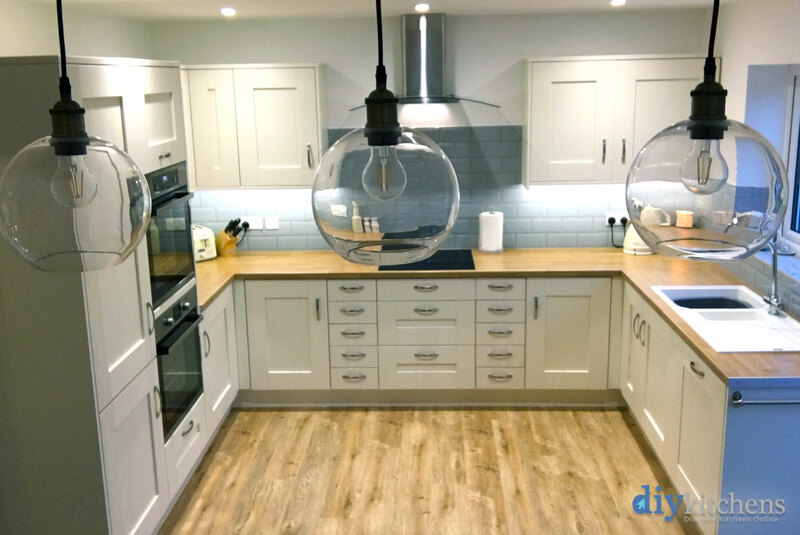 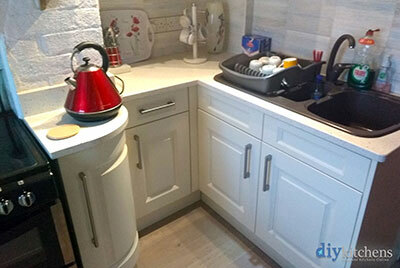 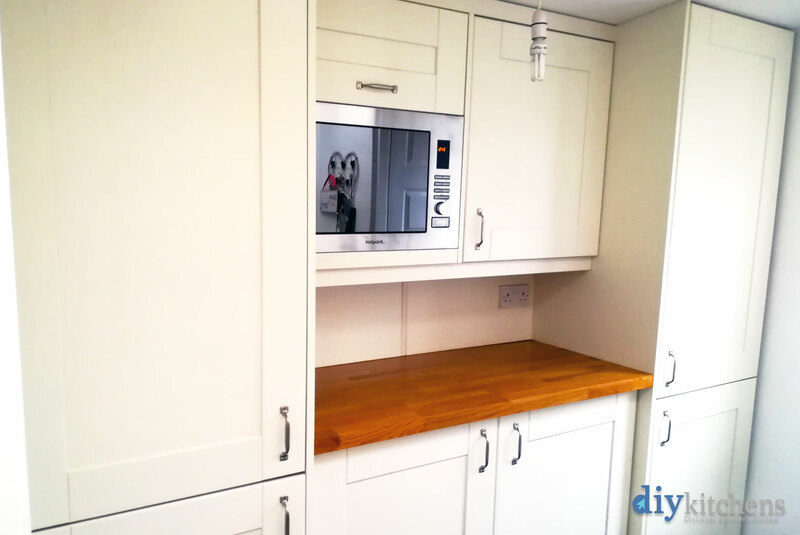 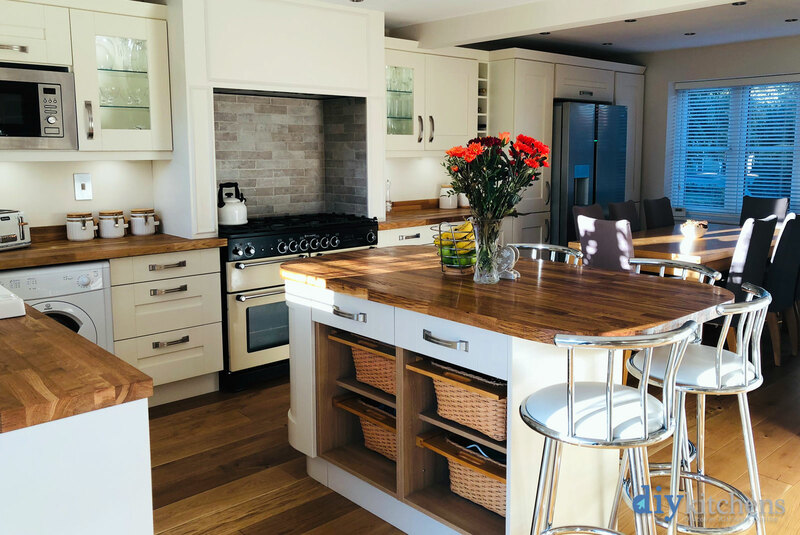 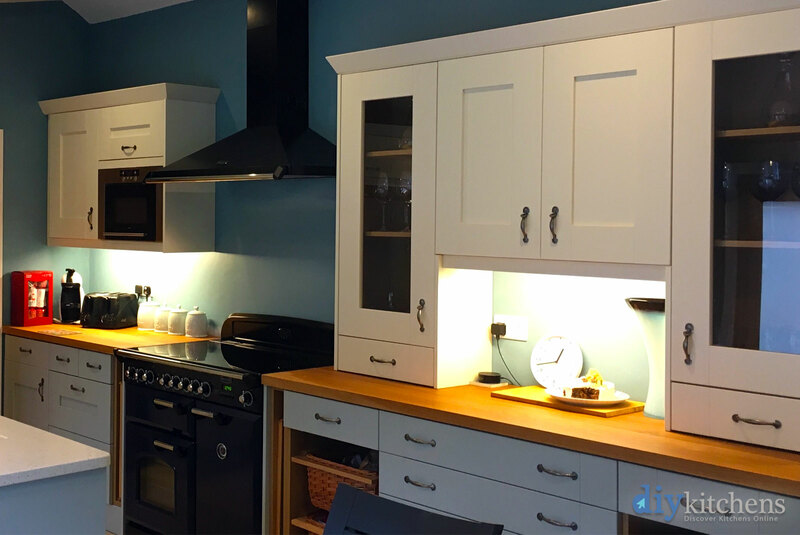 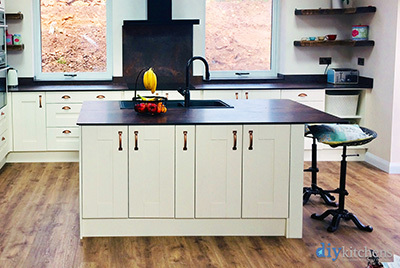 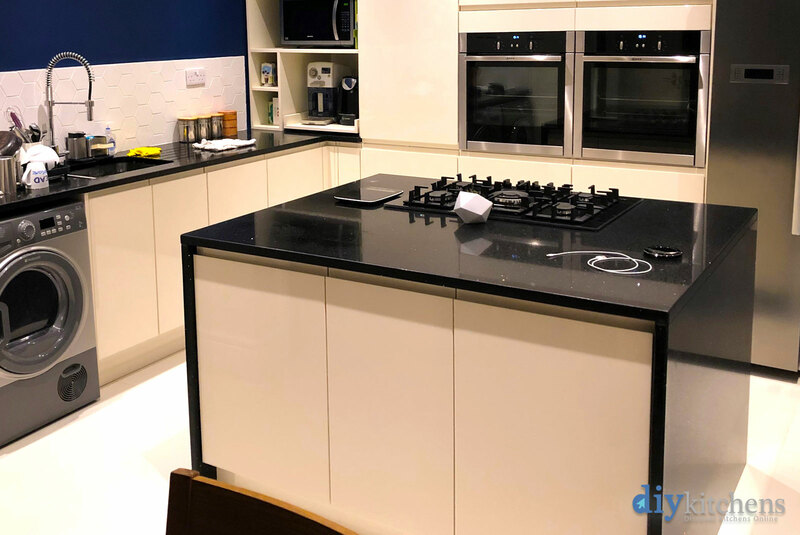 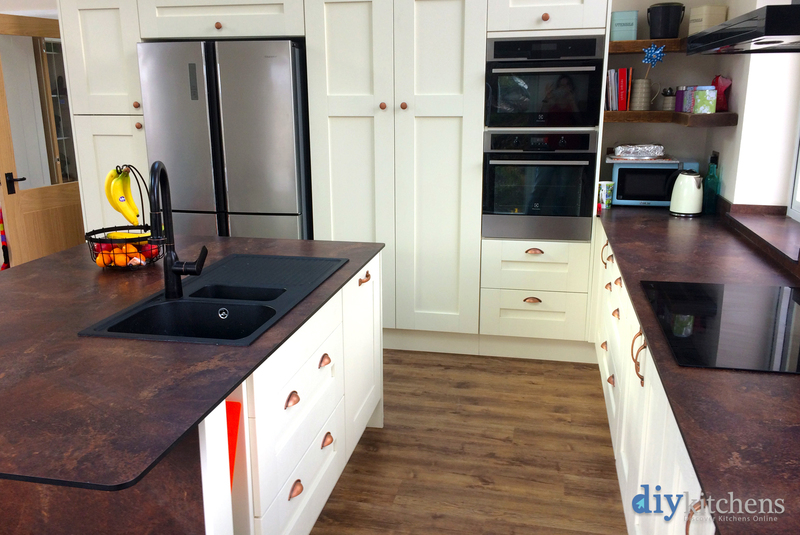 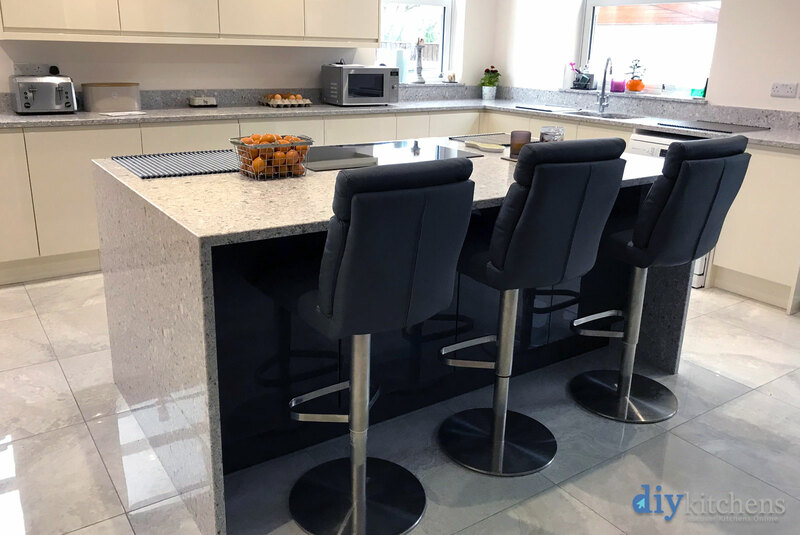 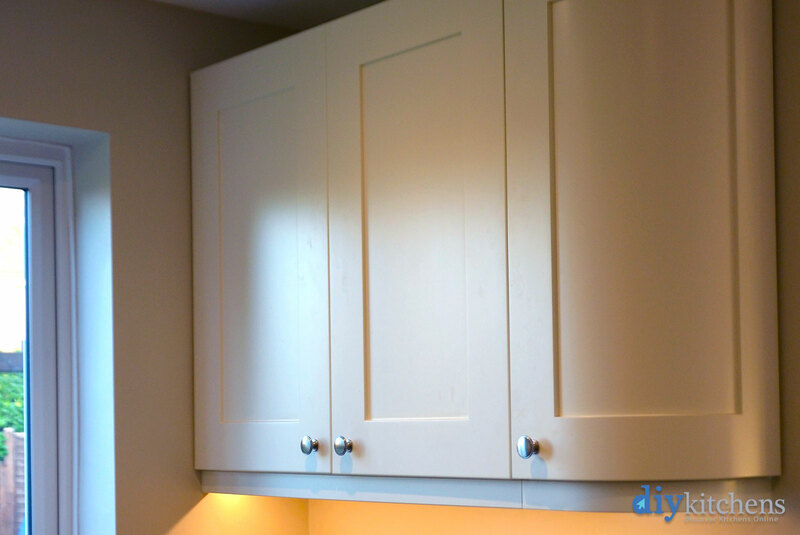 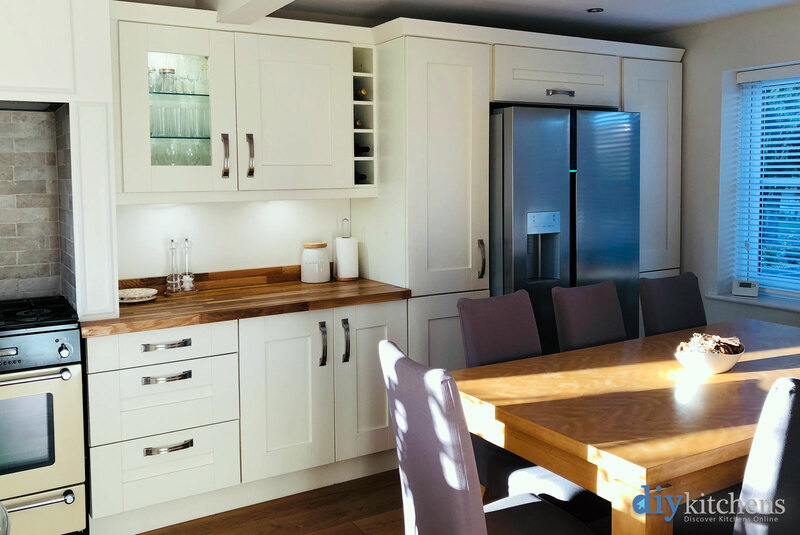 We had seen a DIY kitchen in our son and daughter-in-laws house which looked fab and was amazed at the quality for the price "
Joanne from London "Completed kitchen pictures." 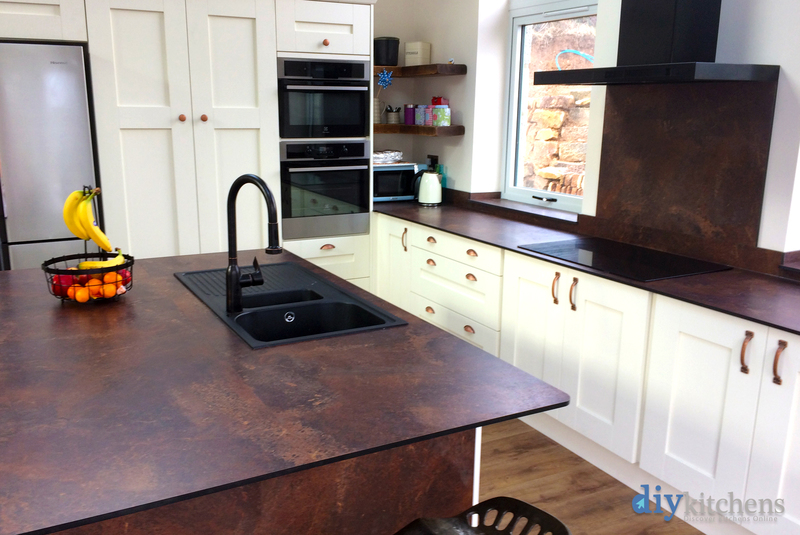 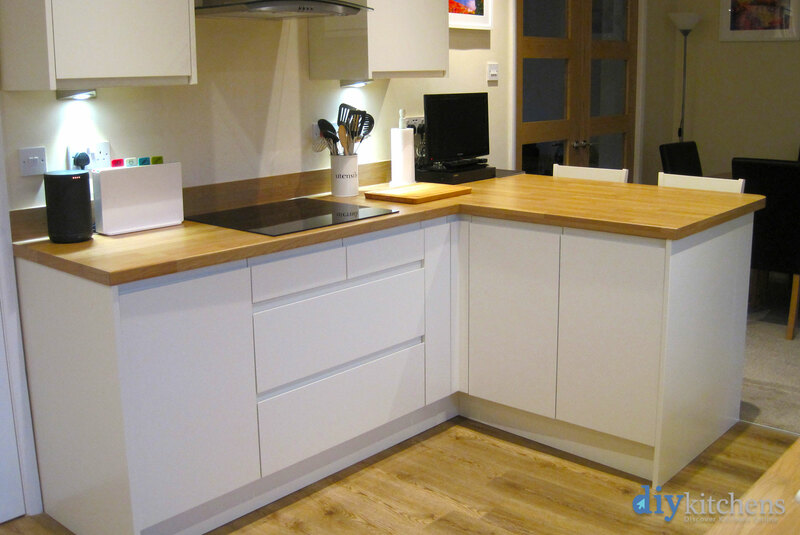 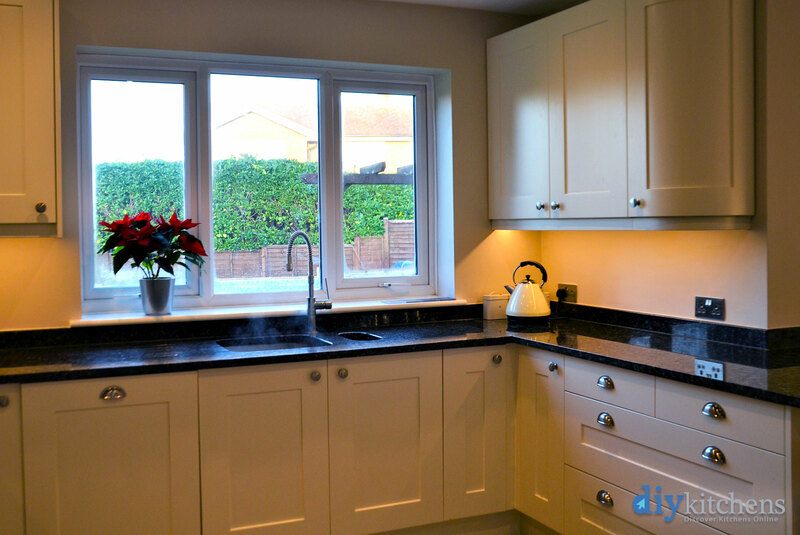 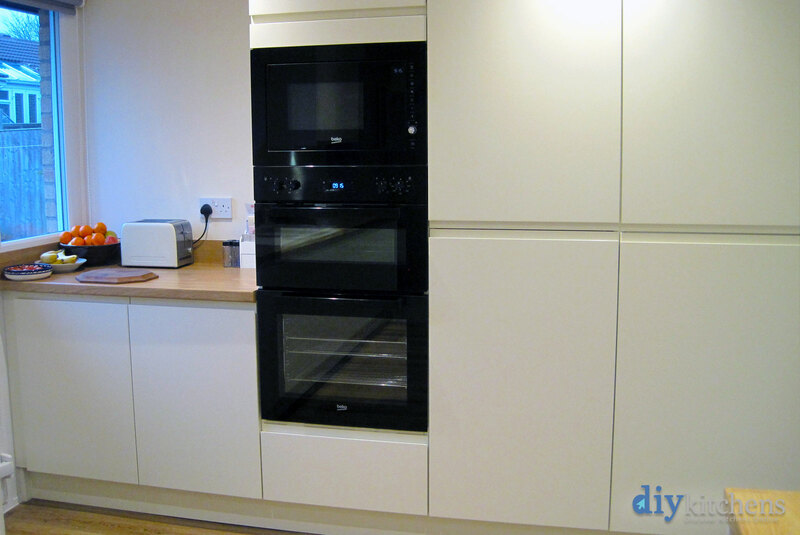 Shelagh from Devon "I absolutely love the kitchen and would recommend you to anyone. A neighbour here in Devon has a son living in Leeds and I know he is visiting your showroom, as a result of my kitchen. 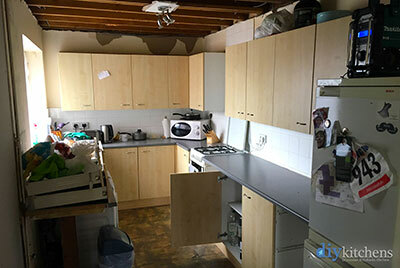 Can't praise you all enough. 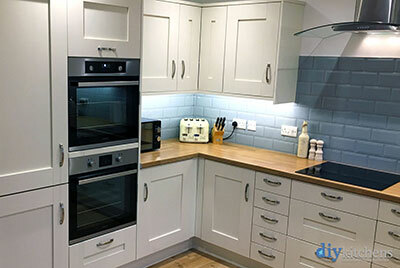 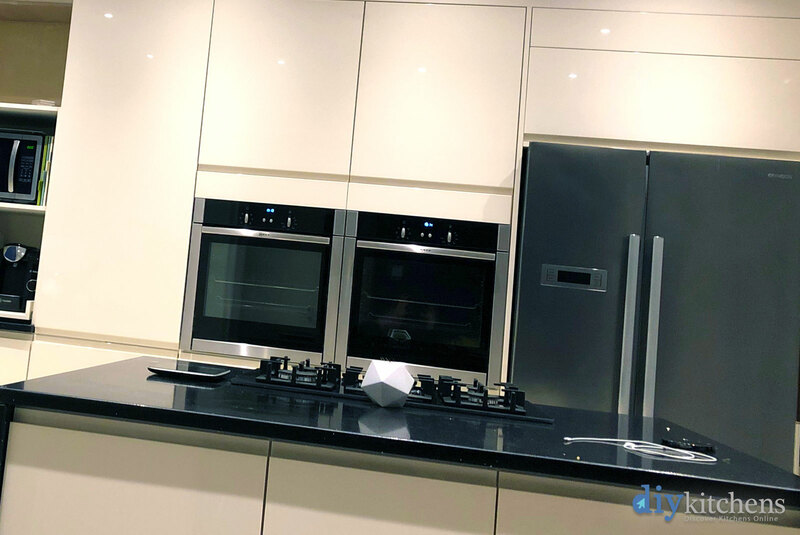 Hope the photos are OK."
Michelle from Derbyshire "Hi, I’d just like to say a huge thank you for your amazing service, we ordered our kitchen that I had designed myself... your staff at the showroom were so helpful with the couple of questions I had. 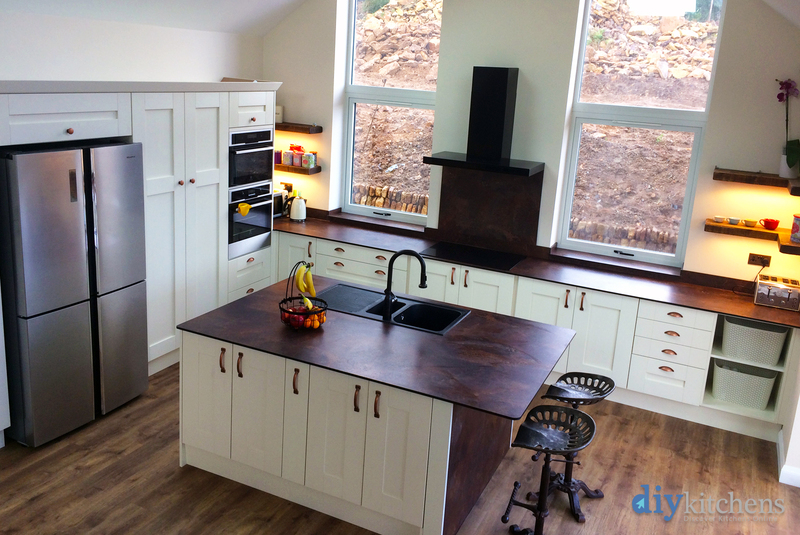 The finished product is truly amazing and my dream kitchen is now a reality. I will be recommending your company to anyone I know looking for a new kitchen." 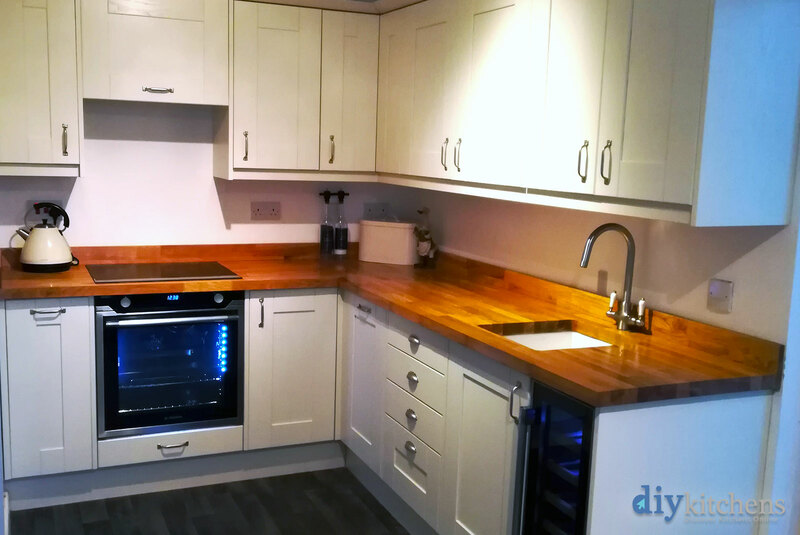 Lorna from Norfolk "Hi, We have finally finished our kitchen which we ordered from you in August 2016! We have attached photos that you may like to use on your website. We were extremely pleased with the quality of the units and the overall high specification of the handles, finishes etc. 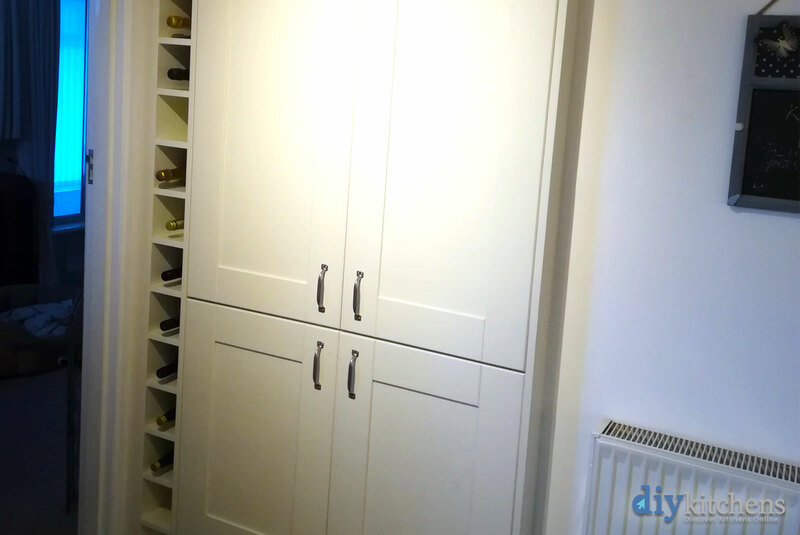 The fact that they came ready assembled was an added bonus! Your customer service was excellent as we came back a few times to add extras and amend sizes to accomodate our boiler. We will definitely continue to recommend you to our family and friends. 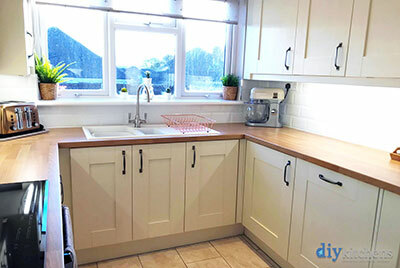 Thanks, Lorna "
Suzy from Surrey "Ayton Alabaster kitchen pics."